At the end of one of Lajpat Nagar Central Market's many lanes, you will find what may be the best lassi in South Delhi. There are many other things to try at Gandhi Di Hatti, but the lassi is what I keep going back for, again and again. Environmentally speaking, Central Market gives a green a lot to think about. On the pavement, plastic toys from China are sold next to crafts made in local villages. 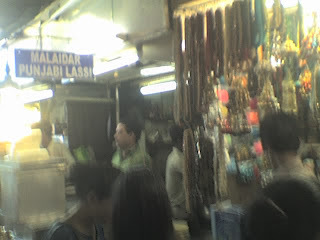 There are shops full stationary and shops full of household and kitchen products, some imported, some made locally. Though Sarojini Nagar is better known for its export surplus, Lajpat Nagar has its share of inexpensive clothing and cloth. A person could spend hours at Central Market and come away with nothing on one visit and a large sack of clothes for under 200 rupees on the next. Thousands of people do this every day. About once a month, one of those people is Mrs. Batti. And more often than not, I go along to keep her company. On the whole, Central Market is far better than a shopping mall, environmentally speaking; it is mostly non-AC, and it has a higher proportion of local goods on offer than most elite malls. Of course it's not perfect. Export surplus, for example, is cheap only because it is the excess production of a global economy based on excess consumption--hardly sustainable! But my better half loves it, and one has to know when to keep one's mouth shut for the sake of familial harmony, no? I like crowds, but I don't like shopping. While Mrs. Batti is sampling the clothes in the 45 rupee shops, I roam the market looking for something to do other than talk to the guys selling belts. (I only have one waist, I say! I already have two belts--why would I need another?) Usually I treat myself to some sort of street food. 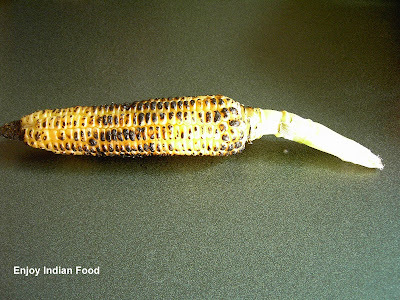 In the summer, I might go for some bhutta, in the winter, I like a plate of warm shakarkandi, some roasted peanuts, or aloo tikki on a bun. 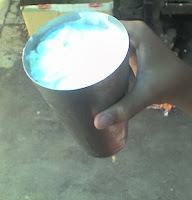 But whatever I'm eating, I almost always get myself a tall, creamy lassi from Gandhi Di Hatti. It's not the cheapest lassi in town: after several price hikes due to inflation, a full steel glass will set you back 25 rupees. But a lassi like that is nearly enough to fill you up! If you can't handle quite so much, a smaller plastic cup costs Rs.14. Gandhi Di Hatti was recommended to my wife years ago by one of her friends. 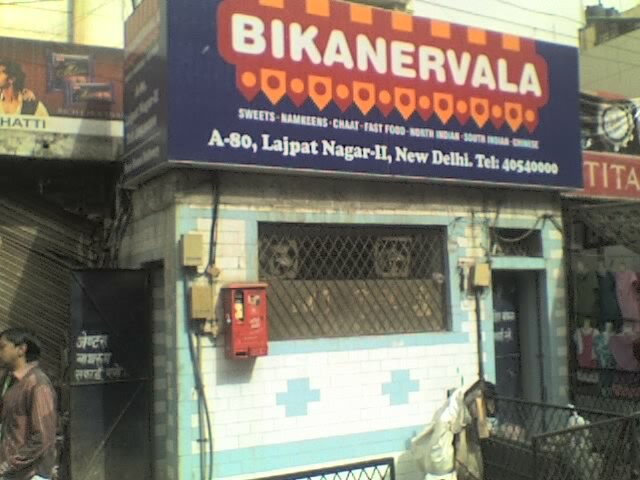 It serves all kinds of things, including Paneer Tika (Rs. 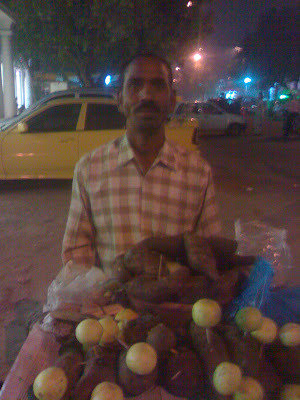 10), Bread Pakora (Rs. 7) and Bread Roll (Rs. 7). But like I said, I nearly always just order a lassi. You can find Gandhi Di Hatti by wandering the market looking for the blue and white sign that reads, "MALAIDAR PUNJABI LASSI." Or you can walk straight into the market from the police station until you nearly reach the other main road. 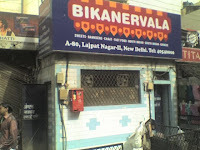 On your right, you will see the toilet pictured at left under a "Bikanervala " sign. Take a right and head into the first lane you come to--some of the best lassi in town awaits you at the second stall on your left. For more reviews of some of Delhi's best food carts, tea stalls, dhabas, and dives, check out our Best Dhabas in Delhi series. And if you'd like to contribute a guest review, drop us a line!